Whenever Upward Projects plans a new eatery, they always first acquire a location, then choose the cuisine. For Federal Pizza, it started vice versa. At the time, they occupied only three restaurant spaces within about 500 feet of each other — now they have five — and surveyed neighbors who said they wanted a pizza place with drive thru. In it’s past life, First Federal Savings housed just that and the vision of customers wrapped around the drive-thru, waiting for an order of wood-fired pizza, proved to great a vision to ignore. It also helped that the 1969 Al Beadle building was a mid-century structure, which they all fancied. Some artifacts were easy to renovate, like his dome streetlights, others not so much, like the 1-inch steel underneath the old bank vault. “We later found out that they inlaid that spot with steel to prevent people from tunneling up under the vault,” managing partner Lauren Bailey said. It doesn’t take much convincing to persuade someone that The Vig Uptown was once a bank. Just mentally erase a few things and one can easily picture where the teller made transactions and slipped out to adjoining rooms. 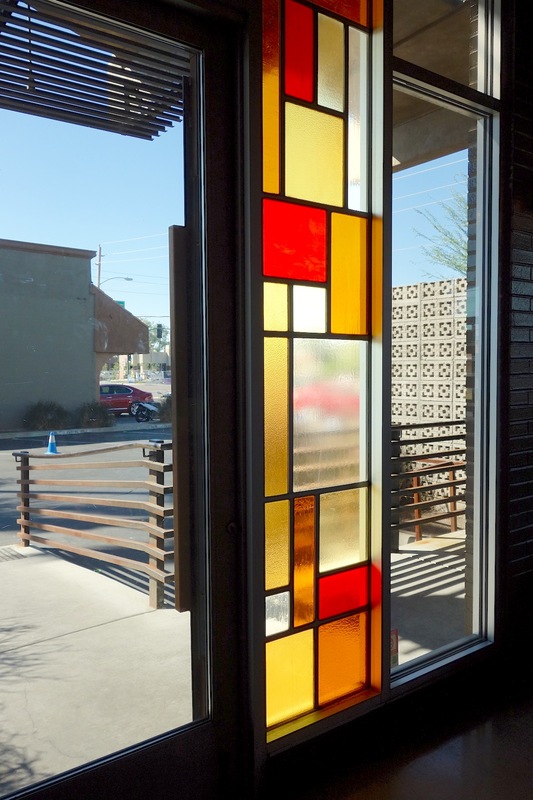 This attracted Tucker Woodbury and business partner Jim Riley to the former Arizona Bank location designed by Ralph Haver in 1962. 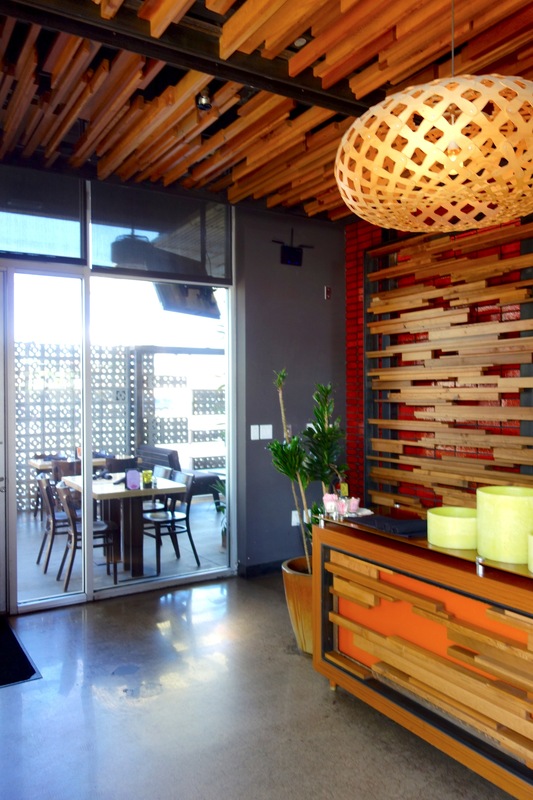 Besides some atrocious dated décor from decades of occupancy, the tilt-wall construction of the property made it malleable for the partners to fulfill their vision for a second Vig location. Most of Haver’s vision had been plastered over. Period pieces, like receded bowls of plaster molding, emerald glazed tiles and stained glass miraculously survived numerous renovations. 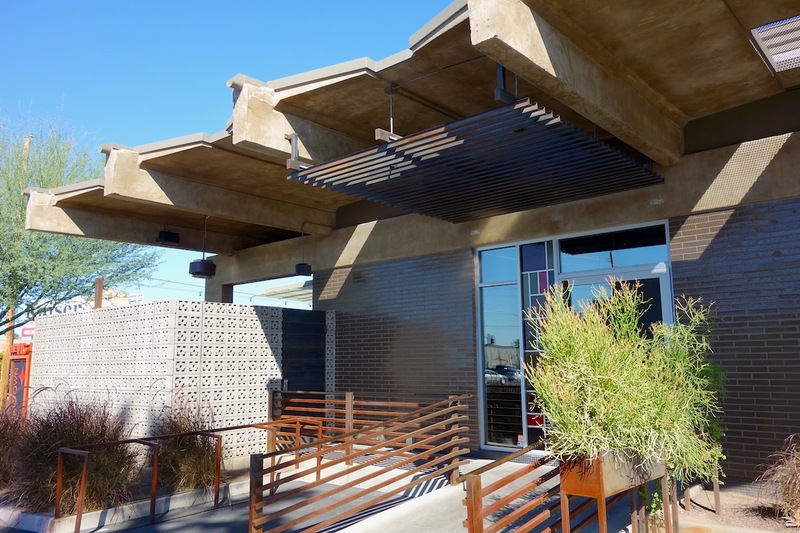 “We remodel many buildings where they’ve been ‘70s and ‘80s to death, meaning covering beautiful architectural elements with drywall, dropped ceilings, covering up what the original architects vision was.” Woodbury said. 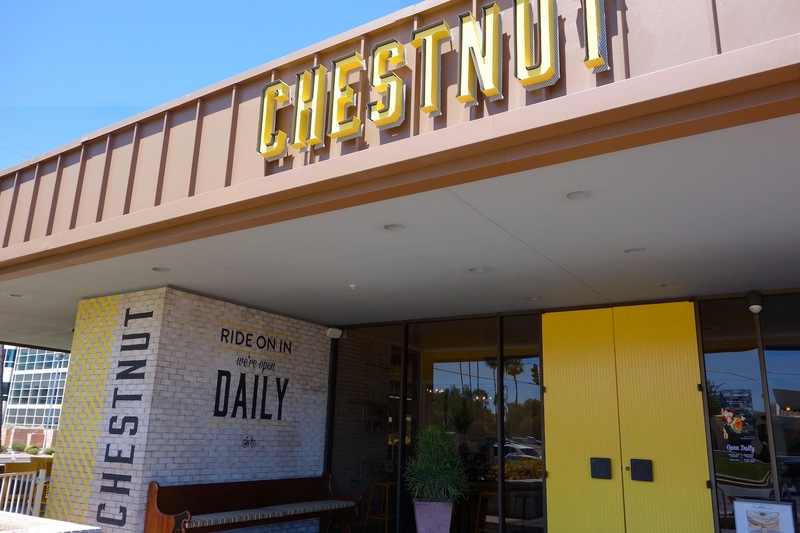 Before The Chestnut opened as a new restaurant and marketplace, it was an innocuous location that everyone seemed to have on the tip of their tongues, yet no one could recall what business occupied the building. 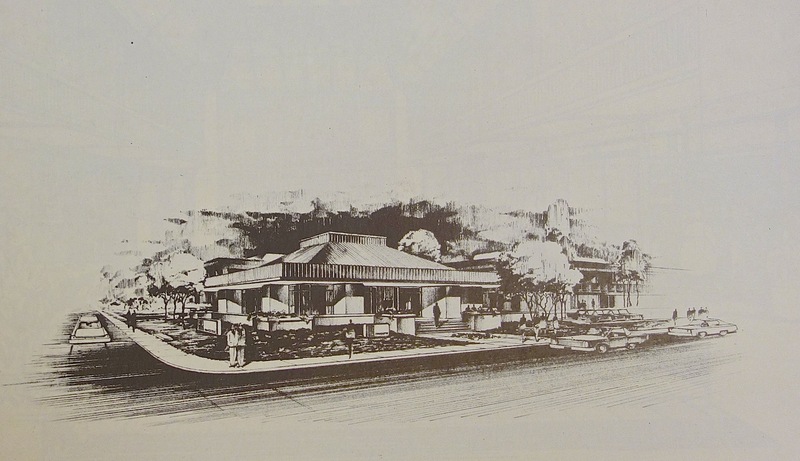 In a former life, the building housed a Western Savings and hid some impressive architectural features. It concealed a massive square skylight at the center of the floor plan and an impressive view of the traffic from both sides of the intersection. “It was almost like a blank space you drove by and you’re like, oh, there’s nothing, mostly because there’s nothing to commit to [memory],” Kirsten Steele, one half of the partnership, said. Whenever she took her children to the pediatrician, the location slipped past her peripherals. It’s hard to miss now with a prominent yellow and black color scheme that popped out to both Steele and her sister/business partner, Marissa Hochman. The Chestnut, an extension of the former Chestnut Lane, continues their dedication to locally sourced food, products and beyond. One day, Steele wants to expand upon their ecosystem by starting a farmer’s market.